One of the things that I thoroughly enjoy about photography is the range of possibilities for style. Style is such a personal thing to each of us. We all have our own very different tastes in style, we all come from different backgrounds, and we all have different opportunities for learning and evolving our own styles. Just think about it, even if we were to all use the exact same sets of presets and programs to process all our images, the end results would still be different because of what we put into the shot while actually on the shoot. I have noticed that my sense of style tends to change a decent amount over time, simply because of what I happen to be studying at that moment. I wouldn't go so far as to say that I use the exact same style for every single image that I process, but there definitely are similarities between different genres as far as how I handle the file processing. The vintage style is one that has always fascinated me, probably because I'm a big fan of the eras usually associated with the styles which are labeled as vintage styles. The 1920s, 1930s, 1940s, and 1950s are all periods in time that most people associate with the looks which are attributed as being vintage. You know, the grainy black and white styles, the sepia tones, the muted colors, and so on. Quite frankly, I have found that my ability to harness the look of a vintage style and to apply it to a modern digital image is somewhat of a mixed bag. There are times when I think I've nailed it, yet there are other times where I will toss out the entire edit because it just doesn't look right. Whenever that happens, I start browsing around on YouTube to try and see what other people have created. Today was one such moment, and this video by Julia Trotti is one that I found to be very helpful. If you're looking to play with some vintage styles, give this short video a watch, she goes through several different approaches to color and contrast handling that I found to be useful. So push the vibrance to bring out the greens, then tweak the tint to make it less green, also bring down more greens in HSL, then add green back in split toning... got it. Not sure how that translates to vintage, or perhaps a particular film/paper combo? Her explanation of vibrance is incorrect. Adding a "higher" temperature (since when does raising Kelvin warm things up?) 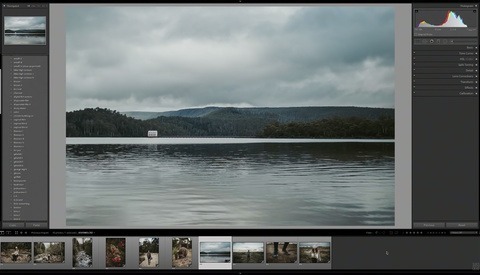 and moving the tint to magenta is simply adding red to your image. A simple way to get a vintage look is to use a vintage lens which, other than just picking up an old camera and shooting with a vintage lens AND film, will be the fastest way to get yourself a vintage "look". Keep the old lens opened up. I’ve always been confused about this as well. Since most people scan their film and do their post in PS, isnt the look of the film whatever you want it to be? Unless the printing is analogue, it’s not a “film look” IMO. I think the common interpretation of "film look" is a digital emulation of how film printed on a glossy trade paper or magazine looked/s. Tonal and dynamic range of general magazine paper stock and pigments/dyes is reduced when compared to actual film; so, in my opinion, when people are generally speaking about a digital representation of a "film look' they are talking about how it looks, on a digital screen when compared to how it would appear in a magazine print; i.e. faded and crushed blacks. 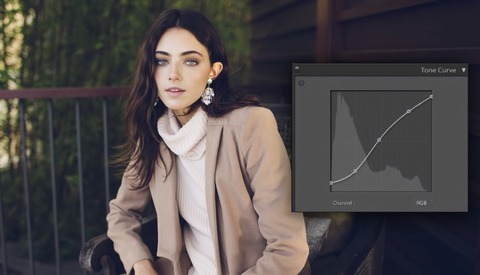 Hence the popularity of filters that essentially move the black or white levels closer to the center of the histogram, compressing the tonal range.